FREE download. 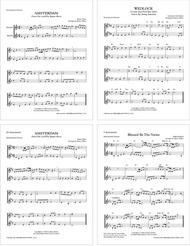 Instrumental descant of the hymn tune GORDON Free download. FREE download. 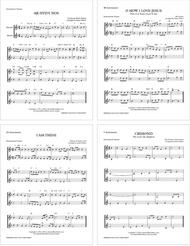 Instrumental descant of the hymn tune HENDON Free download. Popular Title A collection of Instrumental Hymn Descants. Includes: AMSTERDAM (Praise The Lord Who Reigns Above) - BLESSED NAME (Blessed Be The Name) - CONVERSE (What A Friend We Have In Jesus) - GALILEE (Jesus Calls Us) - MESSAGE (We've A Story To Tell To The Nations) - NEAR THE CROSS - SALVATION - ST THOMAS (I Love Thy Kingdom)- SURRENDER (I surrender all)- WEDLOCK (God Is My Strong Salvation) -Parts are included for treble clef C Bb Eb and F instruments. A collection of Instrumental Descants. Includes: AR HYD Y NOS- BRADBURY (Savior Like A Shepherd) - CRIMOND (The Lord's My Shepherd) - ST DENIO (Immortal Invisible) - WEB (Stand Up For Jesus) - CRUSADER'S HYMN (ST ELIZABETH) (Fairest Lord Jesus; Beautiful Savior) - I AM THINE - MY SAVIOR'S LOVE (I Stand Amazed) - O HOW I LOVE JESUS - PROMISES (Standing on) - RESIGNATION (My Shepherd Will Supply). Parts are provided for treble clef C Bb Eb and F instruments. A collection of Instrumental Hymn Descants. Includes: AZMON (O For A Thousand Tongues To Sing); CWM RHONDDA (God Of Grace And God Of Glory); TOPLADY (Rock of Ages); JOYFUL SONG (Praise Him Praise Him); GORDON (My Jesus I Love Thee); HENDON (Take My Life And Let It Be); BUNESSAN (Morning Has Broken); LYONS (O Worship The King); PICARDY (Let All Mortal Flesh Keep Silence); In The Garden; Love Lifted Me. Parts are provided for treble clef C Bb Eb and F instruments. FREE download. Instrumental descant of the hymn tune JOYFUL SONG. Free download. FREE download. Instrumental descant of the hymn tune PROMISES. Free download.